Following on from the success with providing first class imagary, digital distribution and technical support to Service rugby union, Alligin Photography have today signed up to provide similar services for Army Athletics. The agreement will give Army Athletics administrators and competitiors access to digital downloads via one of Alligin Photography's image libraries from their Team Championships, Corps Championships, Individual Championships and also the 2018 Inter Services. The tie up is a further endorsement of the digital library provision provided by Alligin Photography to the Armed Forces. 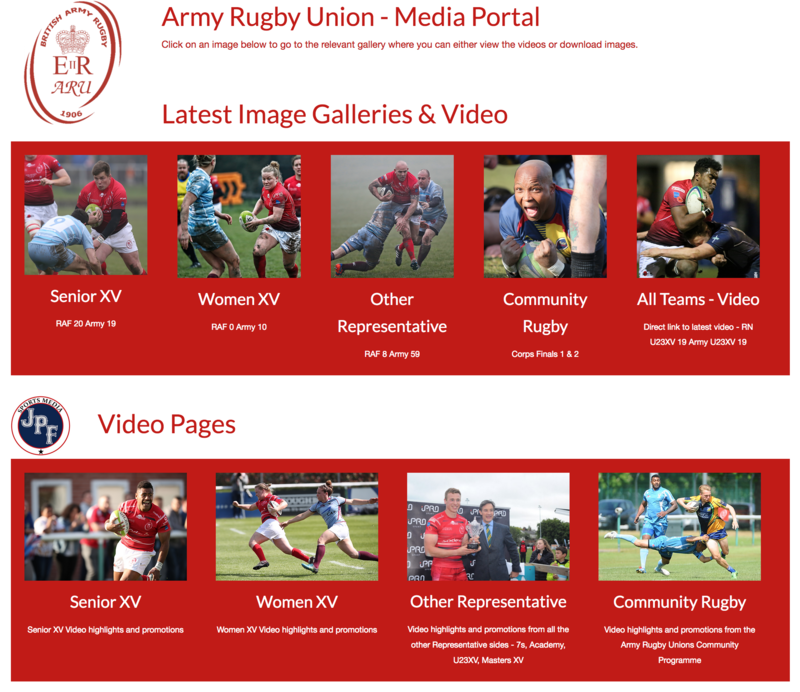 Previously used by the Royal Navy Rugby Union and now used by the Army Rugby Union and United Kingdom Armed Forces Rugby Union the libraries are fully GDPR compliant, allow soldiers, sailors and airman to access the images wherever they are deployed and provide the administrators with a bank of images that can support editorial or marketing requirements. Alligin Photography also provide, where required, online model release to ensure that all the image usage is fully compliant with the ever changing regualtions now required when publishing media content. 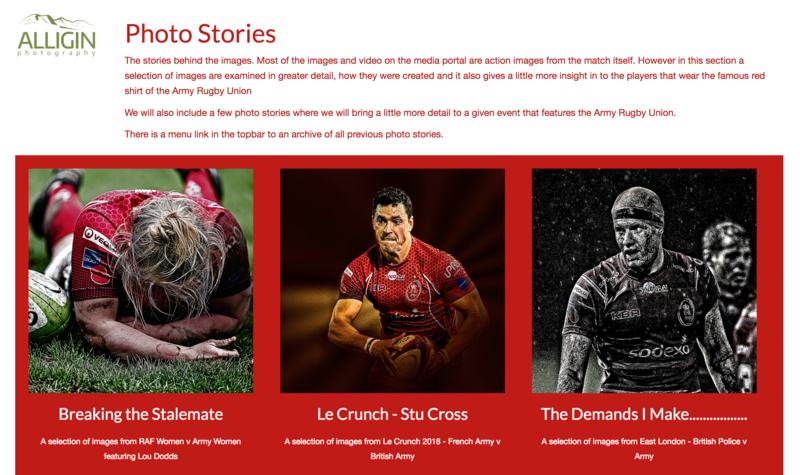 The Army Media Portal has proved to be a great success forthe Army Rugby Union, its partners, players and player families. It has also be used extensibely by British Forces Briadcasting Services and Soldier Magazine to support their outputs with Army Sport.